Artist Bathsheba Grossman (1966- ) created this bronze sculpture in 2006. 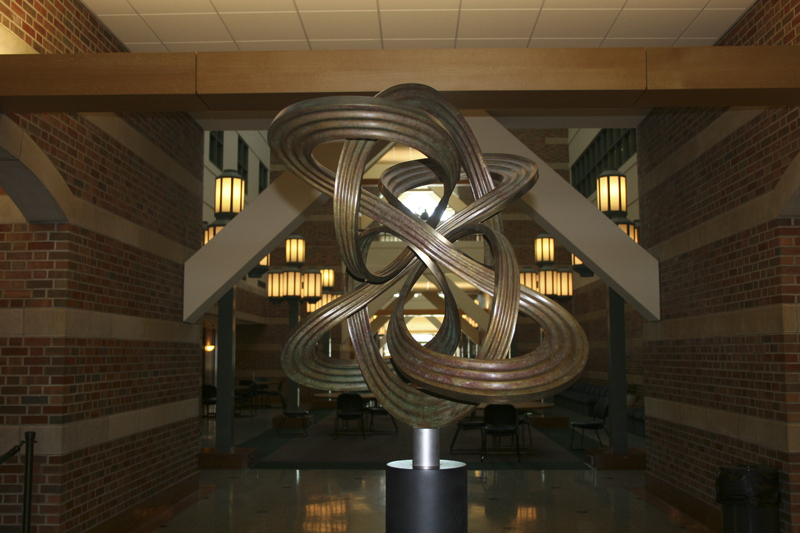 The piece of art is displayed in the main hallway of the Beckman Institute. Bathsheba Grossman is an artist based out of Santa Cruz, California who describes herself as "a sculptor exploring the space between art, math, and life." Major themes in her work center around "living in three dimensions, finding symmetry and balance, feeling for the tension between pure geometry and natural forms" (Grossman 2015). 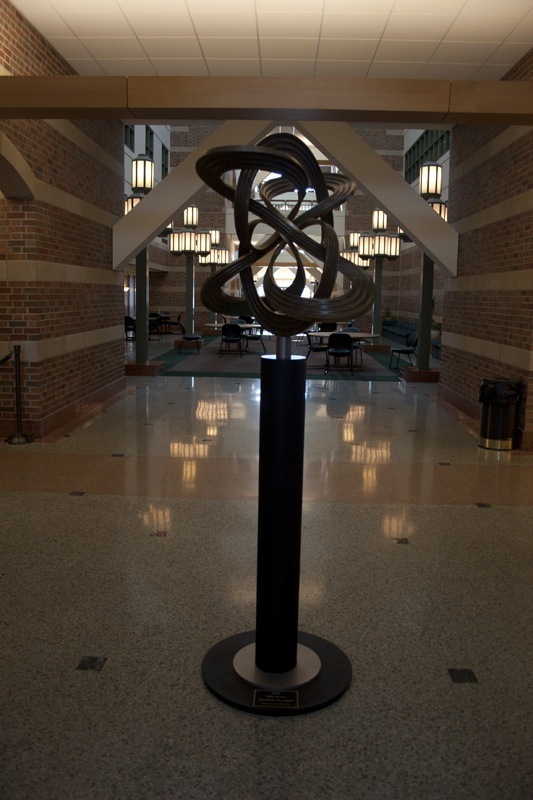 Flow, commissioned by Beckman Institute alumnus Bruce Wonnacott, is a twenty eight inch tall bronze cast of a single ribbon with no end or beginning. Pierre Wiltzius, Director of the Beckman Institute at the time of the sculpture's installation, said "Flow" is an excellent addition to the Beckman art collection...Bathsheba's work provides an elegant, three-dimensional look at mathematical concepts" (Beckman Institute 2006). Grossman designed the piece, but did not have a hand in it's casting. The artist writes that she "never laid a hand on the metal except to sign it. I flew into Chicago to see it installed, but couldn't help because it was union work" (Grossman 2015). 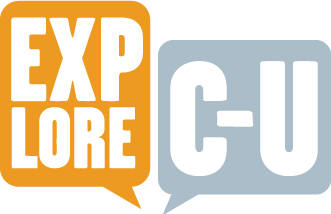 Sarah Christensen, “Flow, 2006,” ExploreCU, accessed April 21, 2019, https://explorecu.org/items/show/76.